Usagi has to keep these scripts secret! 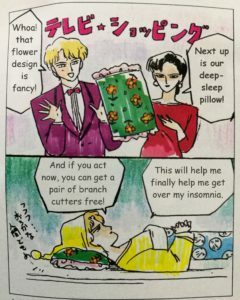 I was surprised to find out recently that way back when the Sailor Moon anime first aired, Animage1 – one of Japan’s premier anime magazines – held a contest in conjunction with the anime production staff to for fans to send in ideas for what they’d like to see in the series. This was known as the “Sailor Awards” (セーラー大賞; seeraa taishou). The suggestions were reviewed and comments on several of the better choices were provided by either Junichi Sato (series director)2 or Iriya Azuma (producer).3 The best ideas were even ultimately used in the series! 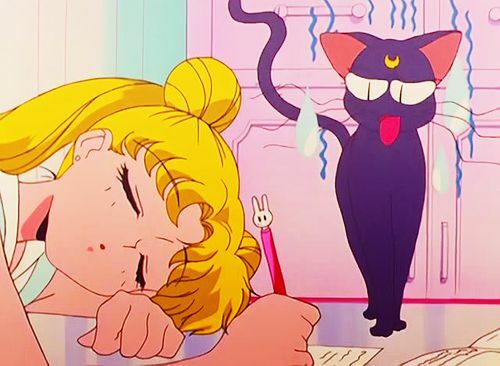 Today we’re going to look at some of the plot suggestions that these early-adopting Sailor Moon fans sent in. To the best of my knowledge, the Sailor Awards were held twice in Animage: the first was announced in the April 1992 issue and reported on in the June 1992 issue, which is also when they announced the second contest would be held, with the results of that second contest appearing in the September 1992 issue. Unfortunately, it’s very difficult to track down these 20- to 25-year-old magazines and even harder to find out if they contain any useful information in the first place, so I’m still in the process of confirming if any more contests were held. They seem pretty successful, so I don’t see why not. 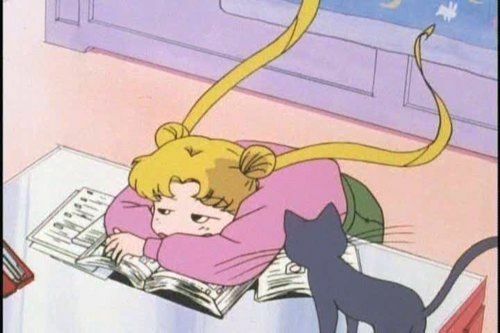 There’s a lot to talk about with some of the ideas sent in, so today I’ll be limiting it to the three episode suggestions sent in by some of Sailor Moon’s passionate fans that the Animage staff felt were all strong contenders but didn’t quite make the cut – and I’ll discuss why a little bit later. “The Four Kings decide to sneak in a raven7 that they can control among those around Rei. This raven can take the form of a human boy, gets close to Rei, and keeps an eye on her in both his human and bird forms. While spying on her, he finds himself drawn to Rei’s personality. However, he’s given the order to kill her, and sneaks into her room in the middle of the night. With his hands around Rei’s neck, he ultimately realizes that he can’t do it, and reveals his true identity and his orders. 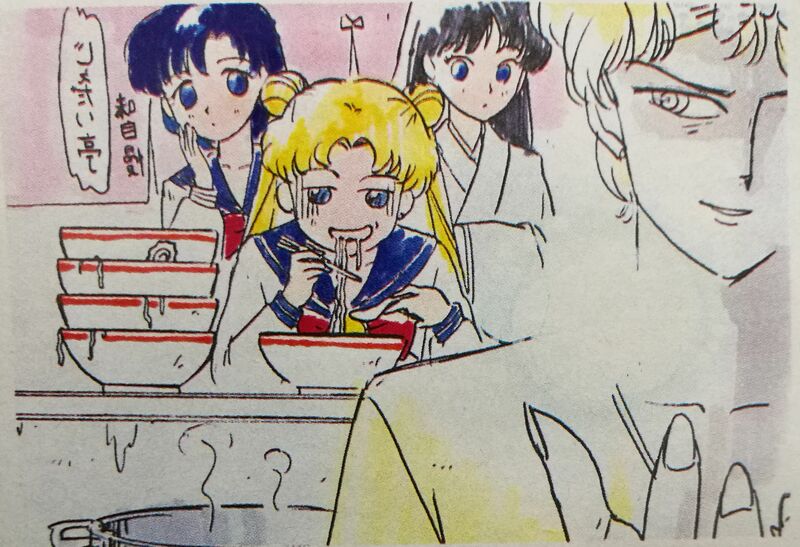 Between how naturally the idea of ramen fits in with everyday life and capturing Jadeite’s weirdness, this is a nice idea. And there you have it, some pretty classy episode suggestions from some Sailor Moon fans. Read also: Why Was ChibiUsa Sad About Returning to the Future? 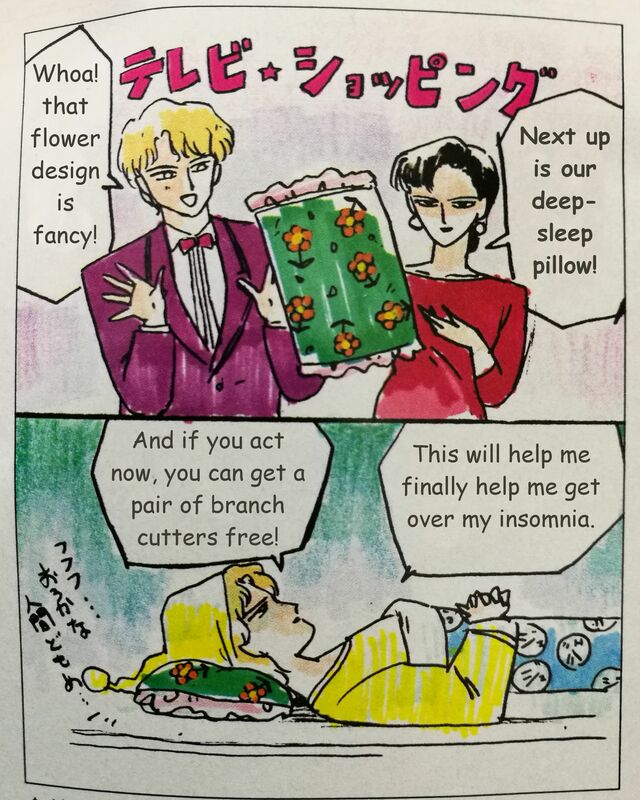 I personally like the pillow one, since I think it fits in pretty well with the themes of the show, and seems like some of the tacky plots Jadeite tried to pull off. He was never shy about dressing up or disguising himself with his youma, so I could definitely see that. In fact, for the second contest, they explicitly ask for fans to come up with ideas about the Sailor Soldiers themselves, and specifically for ways on how the Sailor Soldiers could avoid killing anyone. What do you think of these ideas? Do you think any of them actually had any potential, or were they a bit too far off the mark in terms of how the anime played out? In either case, I absolutely love that they introduced these ideas. There’s a lot more content here, which I’ll report on later! ← Which Character Did Sailor Mercury’s Voice Actress Apply For First? What a cool find! It’s neat hearing about some Sailor Moon episodes we almost got. My personal favorite is the arcade idea! I always found it strange it was never used for a MoTD plot, especially when you consider how often we saw it and Motoki in the first season. Plus an arcade game MoTD design sounds like a lot of fun. A battle in/around the arcade would have also been cool with the risks of Luna’s connection to the command center, through the Sailor V video game. I think the closest we ever really got to a game-themed one was Gesen, one of the Seven Great Youma. But that was a UFO catching machine design, and not necessarily a video game. I wish they included more of these story submissions! I love the Rei idea! I wonder if Naru’s story with Nephrite was based on this submission, or was it something the animators came up with on their own. I’m also curious if it inspired Yuichiro in any way. The sleep pillow thing was also a cute idea. I can totally see it working with how the series was going! I got a really strong Yuichiro vibe off of that story, so I wonder if this was a partial inspiration for his character. But you’re right about the Naru and Nephrite thing. I didn’t even think about that when I was reading through this, but it does sound awfully similar to their relationship and how he dies! Speaking of Naru and Nephrite – I know that I mentioned it on Twitter, but I don’t think I mentioned it here. 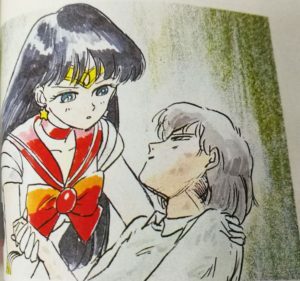 In an interview in one of the Sailor Moon guidebooks, they mention that Shino Kakinuma (VA for Naru) couldn’t make it through reading her lines when Nephrite died without crying. They gave it three tries, but she still couldn’t do it, so they finally used the audio as-is. Real tears in that scene… wow! I want to draw comics based on all these ideas now, haha. 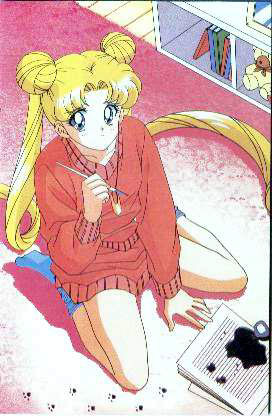 Just a heads up, Miss Dream has a lot of raw scans of older anime magazines featuring Sailor Moon. You might find some neat information there. Unfortunately Miss Dream doesn’t have the specific issues I’m looking for right now, but I do have the last one I need in the mail – it should be here next week! But they do have a lot of great info and magazine scans. One thing that surprised me is that a lot of these magazine articles have custom art not used anywhere else. It’s worth taking a look through the magazine scans even if you can’t read the articles! The Rei/Raven submission sounds intriguing. Oddly Phobos and Deimos would get human forms much later on. So maybe that inspired it. Though it was probably seen as too similar to the Naru/Nephrite set-up. Plus, the premise seems to hinge on the Dark Kingdom knowing her identity. So a slight reworking might have been in order. I’m also reminded of episode 10 of Megaranger, itself modeled on a similar story from Bioman. It featured one of the leads (Shun) falling in love with an Android weapon created by the Nejirejia. Who inevitably dies tragically in an act of sacrifice. A particularly sad chapter from my favourite Sentai. But that’s the kind of tone and ending I’m imagining this story would have gone for had it been made. Interestingly, Shun also has a deceased mother, which features in that plot. Probably why it also made me think of Rei. Pity in a way. As you don’t usually see that kind of development from the average Monster of the Day. By the way, I like the illustrations. Do you know who drew them? And did any of the sent in concepts ever make it onto screen? I like the Rei story idea, but to be honest, it feels really contrived and like I must’ve seen it in at least 30 places before. Not like Sailor Moon was full of only completely original story arcs, but I think they did the “villain turns to the side of good due to the power of love” idea much better with Nephrite/Naru anyway. As for who drew the illustrations, I think these were all drawn by the Animage staff, though they don’t really mention it. The Sailor Saber was drawn by the fan, though, and the Sailor Archery was illustrated by Ms. Tadano from the anime. The next batch of suggestions from fans I’ll be talking about does include some actual fan-submitted art, though. Honestly, I don’t think they ever really intended to take many (any?) of the ideas sent in by fans to adapt them to the anime. I mean, there’s a roughly ~3 month lead time between when the contest was held and the anime episodes that they were currently working on. This is clear because the first contest results were announced in May, but Mercury and Mars’ catchphrases first appeared in the August (… 24th?) episode. So they already knew that Jadeite was dead when they asked fans to submit story ideas. It was a really good promotion to get fans to think about the series, though, and to gauge how fans thought of the characters.